NYC Restaurant week began on Monday so I stopped into The Clocktower for a relaxing solo lunch. Located on the 2nd floor of the New York Edition, this sprawling spot definitely aims to impress with a sleek billiards room up front, an chic circular bar made of 24 K gold and three dining rooms decked out in burgundy cushioned seats and a roaring fireplace for that cozy touch. 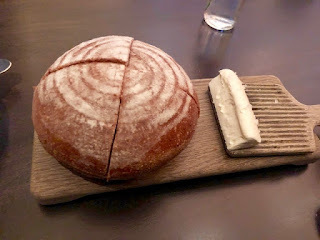 Sometimes I restrain myself from the bread service when dining solo but at The Clocktower I dove in head first. This delicious round of sourdough arrived piping hot; so hot steam exuded when I pulled it apart, alongside a creamy whipped butter studded with sea salt. For my appetizer a thick, Butternut Squash soup dotted with pumpkin seeds, orange and a rich dill creme friache. 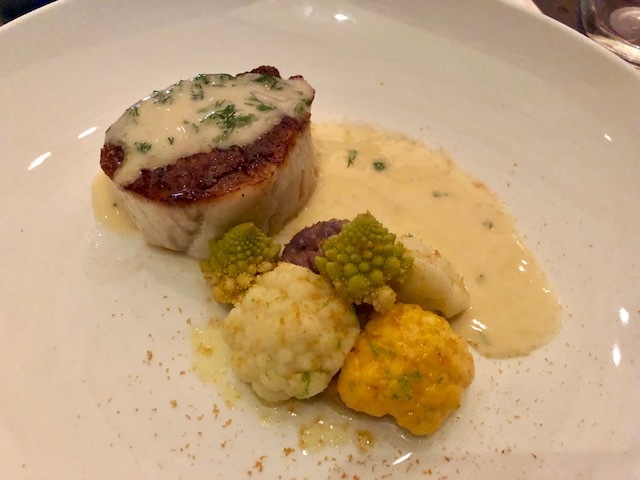 Onto entree the Pan Roasted Cod with cauliflower and pickled romanesco. The fish was cooked excellent, with a crispy caramelized sear on top and a tender interior complemented by a delicious drizzle of lime and verjus sauce. Overall my lunch at The Clocktower was fantastic. 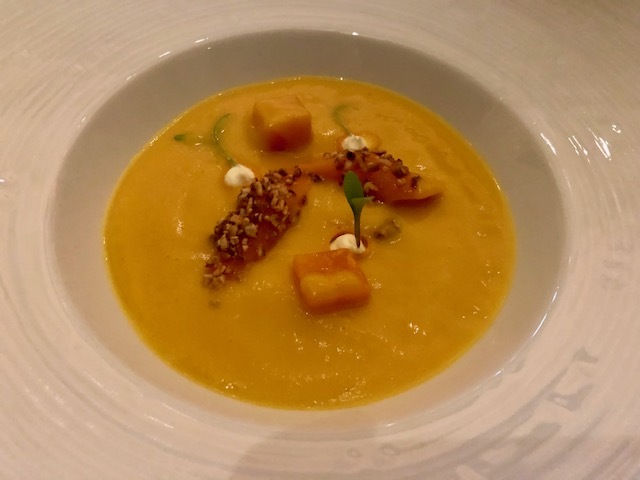 I find most restaurant week menus try to keep things too simple but each dish here had a new element; a twist to something I thought I knew like the orange in the soup and the lime verjus that brought a refreshing acidity to the fish. 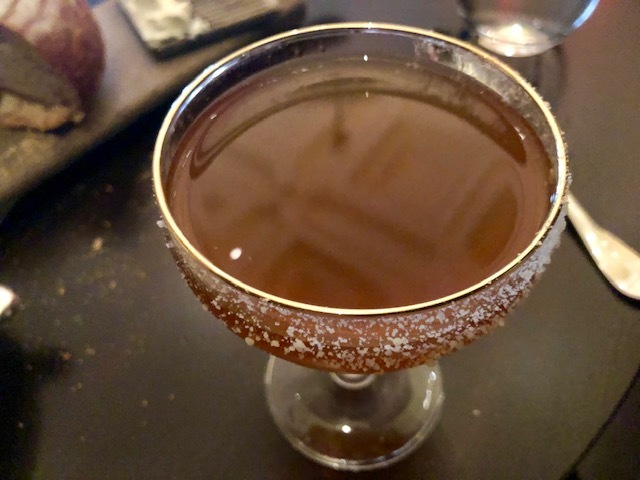 The beverage menu was also different with playful cocktails like the Buttervardier made with butter washed Buffalo Trace bourbon and the American Cereal Killer made with Rittenhouse Rye and Cheerio milk. Everything felt unique and special, which is exactly what dining out is all about.